Stranded - Celine's Dilemma EP. Vinyl EP. Bleep. Nashville artist Stranded debuts on Optimo with this EP. 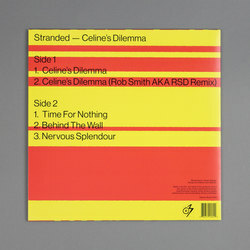 Title cut ‘Celine’s Dilemma’ is a knockout tune. 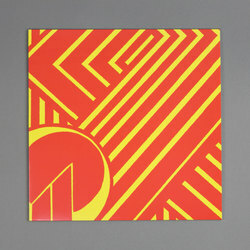 A delicious piece of disco-noir, the lackadaisical vocals and lightly Balearic, lightly post-punk dancefloor swing pitches it somewhere between Peggy Gou and classic DFA. RSD - that’s one half of trip-hop legends Smith & Mighty - does a fine job with his remix too, injecting the original groove with a little extra bass punch. On the B-side we get three more exercises in psychedelic dancefloor fare - closer ‘Nervous Splendour’, which has shades of LCD Soundsystem’s ‘I Can Change’, is the highlight here.